As electric vehicles are gaining in popularity in Canada, we’re seeing a growing number of models arriving on the market through the course of 2019. And many of them offer a driving range approaching that of a conventional vehicle. 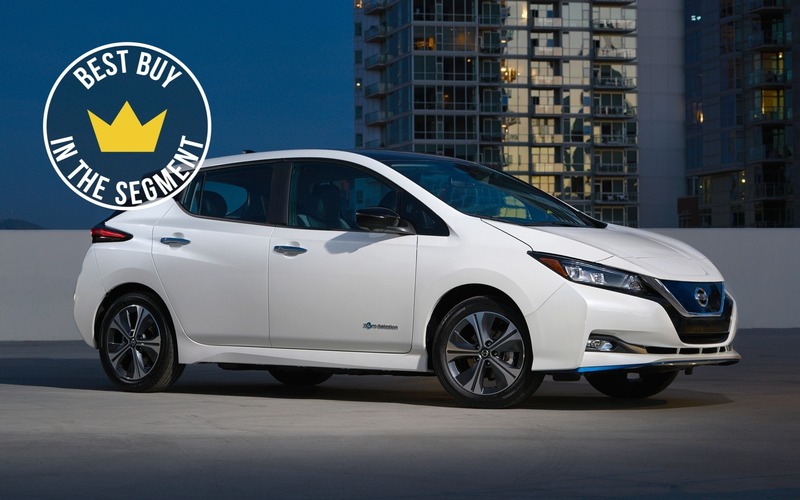 Every year, The Car Guide’s team publishes its Best Buys in a variety of segments, and a fully electric vehicle category has been added to the list. The first to win this title is the Nissan LEAF. This electric compact car charmed The Car Guide’s journalists by its refined drive, its improved performance, the comfort of its cockpit and its versatile cargo hold. 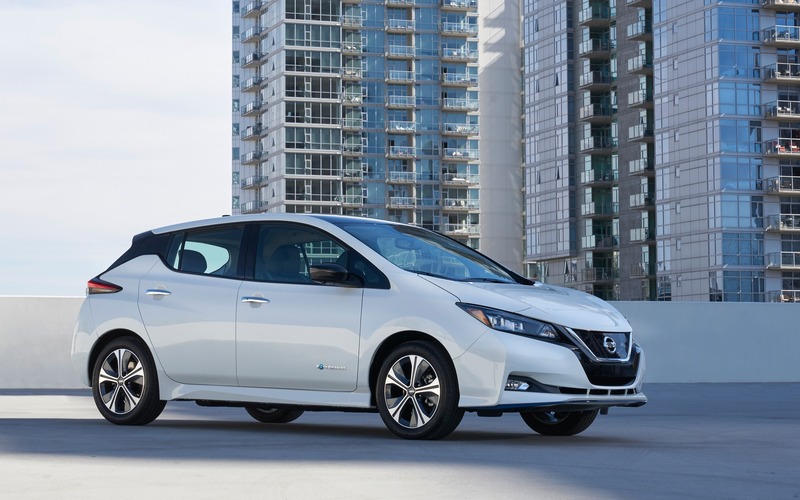 Redesigned for the 2018 model year, the LEAF now boasts a more mainstream design, but remains modern with its angular lines and sportier profile. In addition, a long-range variant has been added for 2019. The LEAF PLUS receives a 62-kWh battery pack, allowing the car to travel up to 363 kilometres on a single charge, with more power—214 horsepower—as a bonus. The Nissan LEAF with the 40-kWh battery, which provides a driving range of up to 243 kilometres on a single charge, is still available from $40,698 before freight and delivery charges. In second place in the EV category, we find the Chevrolet Bolt EV (MSRP from $44,800) that pleases by its modern design, its driving dynamics and the user friendliness of its infotainment system. Its maximum driving range of 383 kilometres on a single charge is also an excellent point in its favour. The Volkswagen e-Golf (MSRP from $36,720) takes third place thanks to its undeniable fun-to-drive factor, its 201-kilometre maximum driving range on a single charge and its great versatility, with a trunk that’s just as spacious as the one in the regular Golf. Lastly, at extra cost, the e-Golf is available with a choice of no less than 48 paint colours. MALLORCA, Spain – We’re finally getting it. The fully electric e-Golf will be on sale in Canada in June, better armed to take on the newcomers in the EV segment. The e-Golf originally went on sale in 2014 in various countries, including the United States, but Canada didn’t get it.